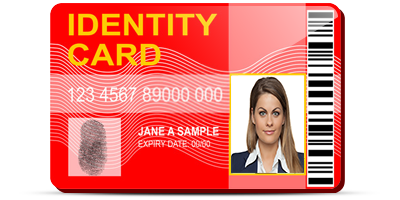 ID Card Design Software provides solution to design and create variety of Identity card for your personal and business needs. ID badge maker creates Employee id badges, Student ID card, Picture ID cards, Personal identification card, Photo ID card with easy card creator process. Software facilitates you to design your ID cards by browsing ID card details from excel file. Software provides Batch Processing Series option to generate multiple ID cards with different barcode and text value. Facility to design ID card using data from excel file. 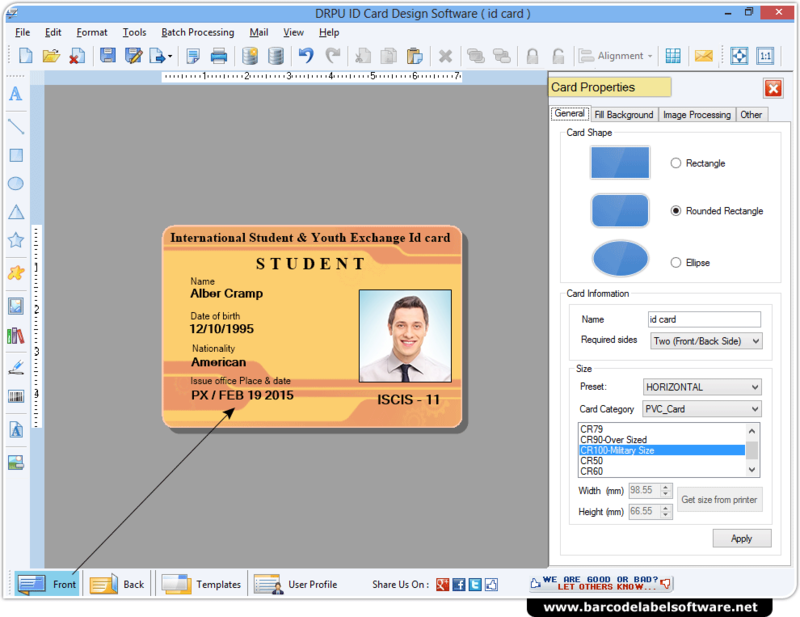 Save designed ID cards in different file formats including JPEG, BMP, TIFF, GIF, PNG, and PDF. Design ID card using image designing tools such as Line, Ellipse, Pencil, Rectangle, Text, Picture, Arc, Barcode, Triangle and Star objects. Create ID cards in different shapes like Rectangle, Rounded Rectangle and Ellipse. Specify the color and background settings of created ID card using Color, Gradient, Image and Style settings.